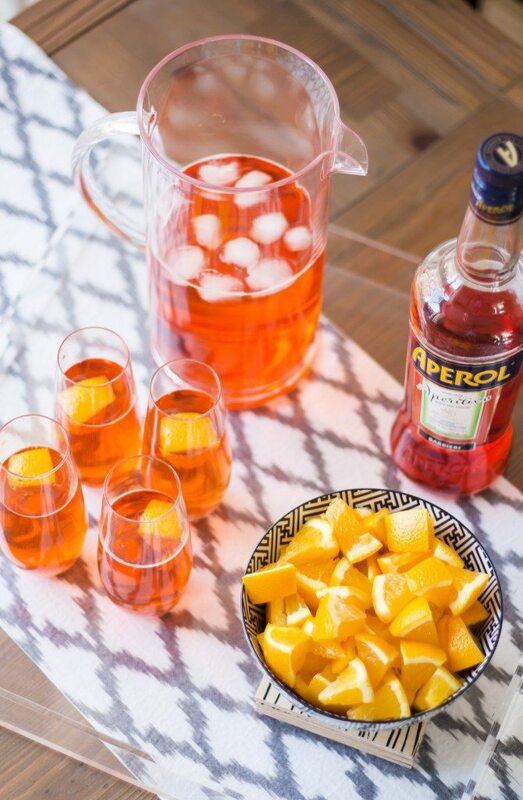 When entertaining in the summer I like to serve food and drinks that are simple to prepare but still pack a lot of fantastic summer flavours. 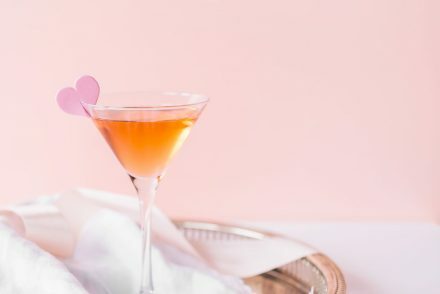 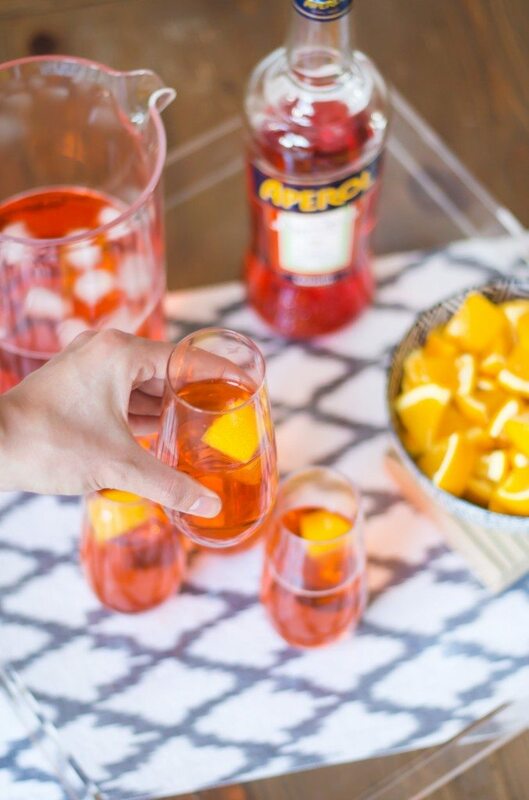 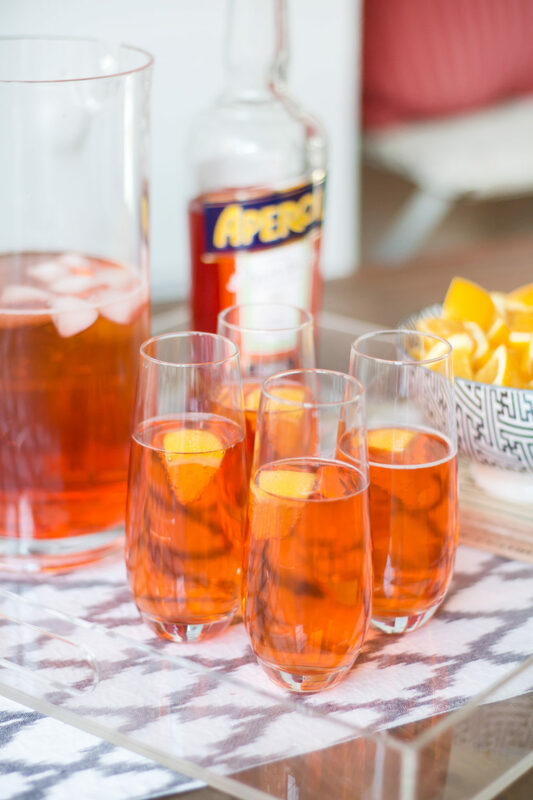 The Aperol Spritz is a classic Italian drink which only contains 4 ingredients; 1 part Aperol, 3 parts Prosecco, a splash of soda water and an orange slice to garnish. 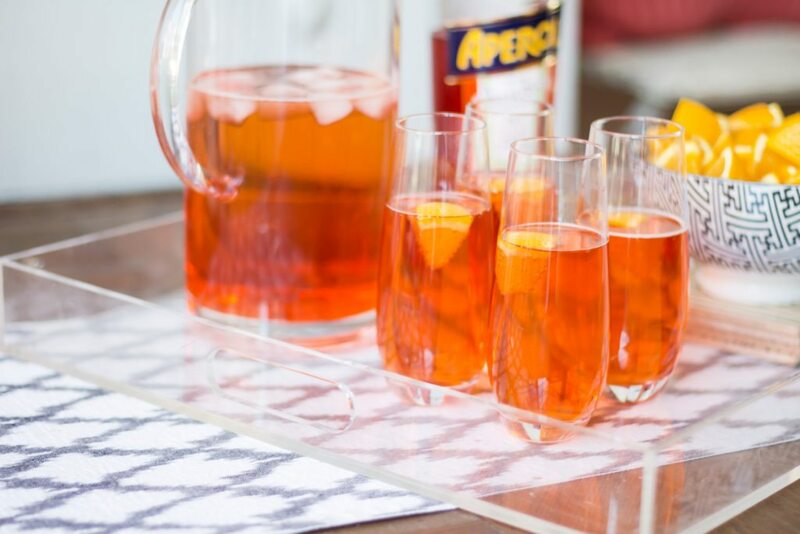 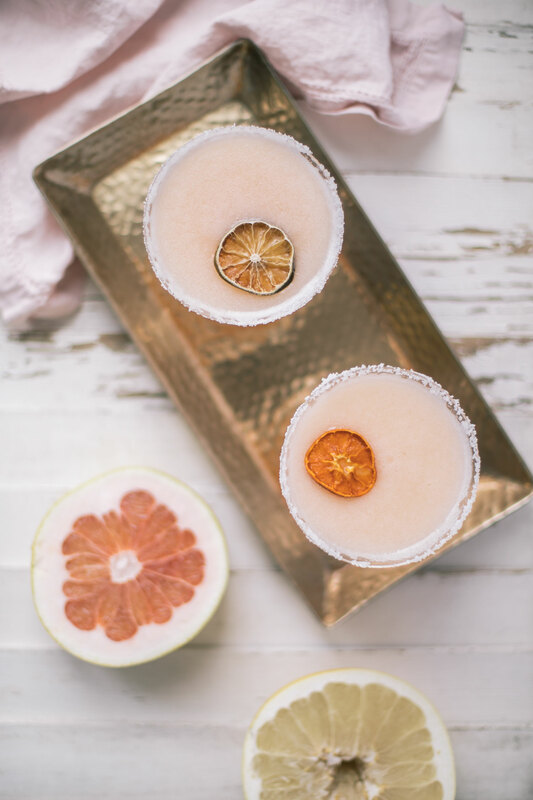 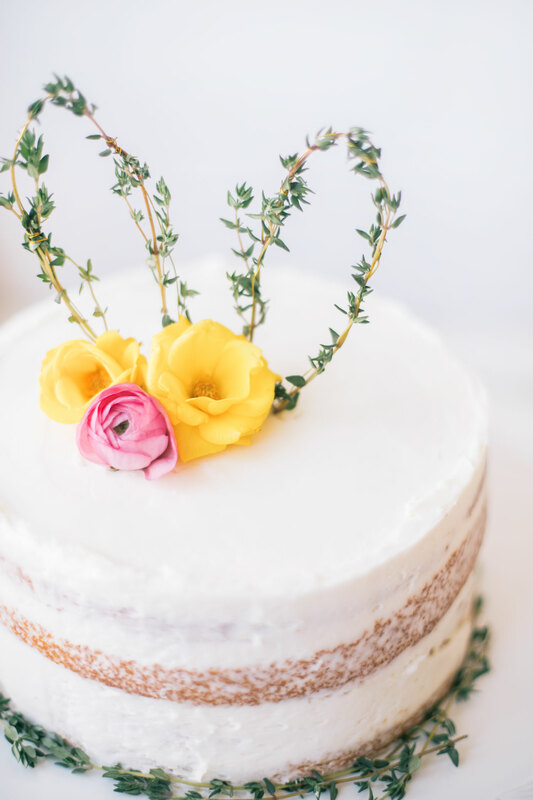 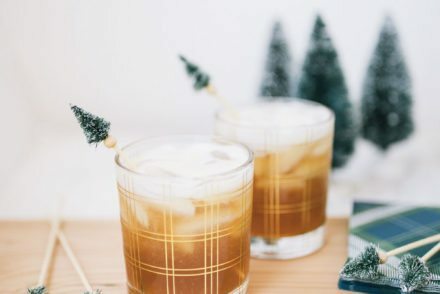 While this drink is easy to make, the combination of herbaceous and orange notes mixed with the carbonation of the Prosecco and soda water are a must try. 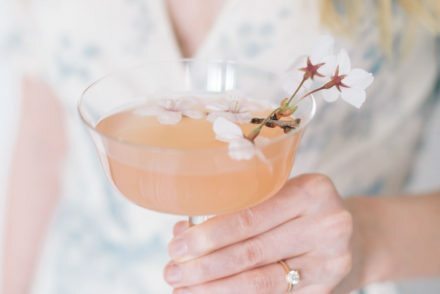 I conveniently made a batch to fill up a pitcher for guests so that I wouldn’t have to be running back and forth all evening, and the stemless champagne glasses on a lucite tray really elevated the drinks aesthetic.